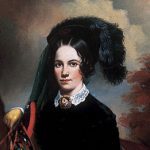 At age twenty-two she married Isaac Franklin of Sumner County, a wealthy cotton planter and slave trader, who was twenty-eight years her senior. They had four children, none of whom survived childhood. After seven years of marriage Franklin died, leaving his widow an inheritance valued at approximately $1 million that included seven Louisiana cotton plantations, a two-thousand-acre farm in Middle Tennessee, and 750 slaves. 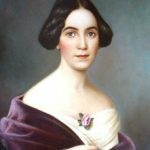 Three years after Franklin’s death, Adelicia married Colonel Joseph A. S. Acklen, a lawyer from Huntsville, Alabama, who signed a prenuptial contract giving his wife complete control of all her businesses, property, and assets. The couple began immediate construction of Belmont, a twenty-thousand-square-foot summer villa, now maintained as a house museum. The Acklens lived a sumptuous lifestyle, traveling between Belmont in the summer and their Louisiana plantations in the winter. The couple had six children, two of whom died young. Acklen, a superb businessman and plantation manager, had tripled his wife’s fortune by 1860. After her husband died during the Civil War, Acklen faced financial ruin when the Confederate army threatened to burn 2,800 bales of her cotton to keep it from falling into Union possession. Acklen boldly rushed to Louisiana and secretly negotiated with both sides to save her fortune. She secured Confederate promises not to burn her cotton, while the Union army agreed to help her move the cotton to New Orleans. Acklen ran the Union blockade and sold her cotton to the Rothschilds of London for a reported $960,000 in gold. 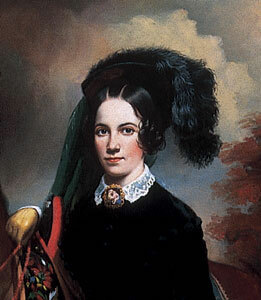 Three weeks after Robert E. Lee’s surrender in 1865, Acklen and her children left for Europe to retrieve the money made from this cotton sale. 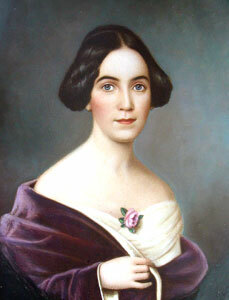 In 1867 the fifty-year-old Acklen married Dr. William Archer Cheatham, a respected Nashville physician. Cheatham also signed a prenuptial agreement. The couple was married twenty years, spending most of their time at Belmont in Nashville. In 1886 Acklen sold Belmont, left Nashville and Cheatham, and moved to Washington, D.C., with three of her adult children. The exact cause of her separation from Cheatham is not known. Acklen died on May 4, 1887, while on a shopping trip to New York City. She is buried in Nashville’s Mt. Olivet Cemetery in a family mausoleum with her first two husbands and nine of her ten children.